President-elect of the United States of America – Barack Obama is preparing to make a switch from his beloved BlackBerry RIMs to Sectera Edge. CNET has found out that the former United States Senator from Illinois would have to make a switch once he takes over the office come January 20th. 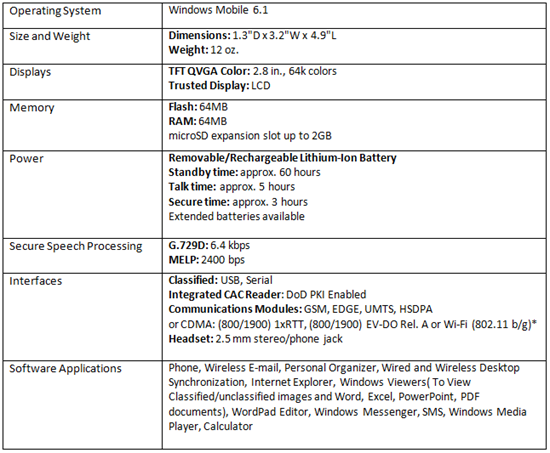 Sectera Edge is a Smartphone made by General Dynamics Corporation and is powered by Windows Mobile 6.1. 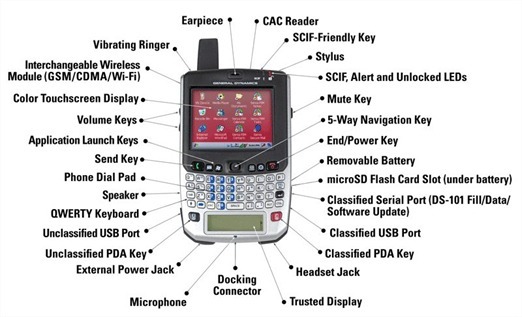 This hideous looking phone is beefed up with tight security features to transmit data that are classified as “Confidential or Secret" and is hence certified by National Security Agency (NSA) of US. In my opinion this device is quite huge for today’s mobile device standards and I for one doubt that we’ll ever see our tech-savvy President walking around with one of these. What do you think? Wow, once was the Zune, now Windows Mobile. How long will it take to see iVoters claim back their vote? wisher: But i did read somewhere that he prefers Macs over Windows. Interesting combination i must say. I wonder how does he synchronize his music on Zune from a Mac. Maybe he makes use of Parallels or Boot Camp.. ?? I don’t think it’s gonna be a problem for Barack. Now everyone will one of these Sectera Edges. It’s a marketing platform for Sectera. I bet sales will rise. My first Sectera (like my first Sony). They’ll take photos of him using it. This will sweep the online community. Search result counts will increase for searches on Sectera. Comparisons will come up. What’s the poor man’s Sectera like? Why can’t I get a secure line? Jack Bauer needs a secure line. Barack needs a secure line. I want one too. Lots of new phones will come up. Blackberry, Apple and any other manufacturer will get the features of the Sectera in their phones. This has raised the bar for phone pdas. I want what Barack uses. That’s the bottom line.